1. I have a customizer working on a 3 3/4" George Lucas figure (70's era) - the head sculpt looks spot-on, but he'll need a pair of glasses. Can you think of any action figure in that scale that has ever come with removable glasses? Yes, but they're not always good - and there are many ways to do them. G.I. Joe's The Baroness has been the most interesting, with this version sporting removable glasses. I tend to think fudging it by sculpting the frames directly on the face tends to look better - once clear plastic enters the equation, it starts to look kind of crappy. Whatever you do, I'd advise against glasses - in almost every figure scale, they're tough to do well. Even the supposedly big-headed Funko figures struggle to get good, clean, unblemished plastic lenses on these guys. I have no doubt a fine artisan can pull it off, but I'm a no-talent hack that writes because my hands are otherwise worthless. 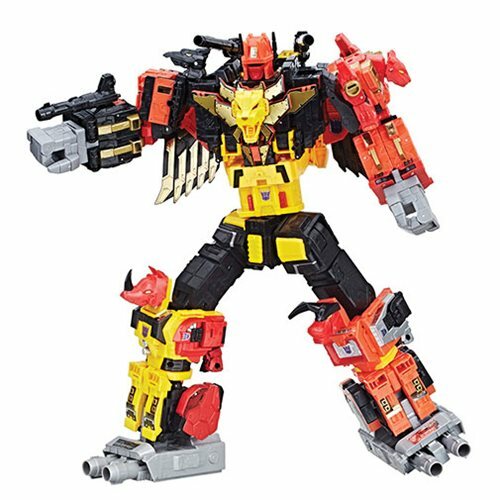 Ad: Star Wars and Predaking at Entertainment Earth! 2. How'd you like Solo? I thought it was a lot of fun. For cool new troopers and alien designs Solo is right up there with Star Wars, Return of the Jedi, and Episode 1. Now we're looking at over a year and a half gap before the next Star Wars movie. 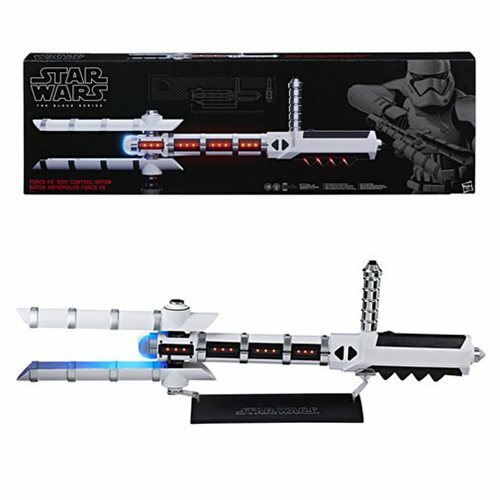 And probably over a year before we see any Episode 9 toys. What's the next year going to look like for us Star Wars toy collectors? Will we get a break from figures? Will we see a solid years worth of The Vintage Collection? Are we going to see all sorts of things to go along with our Sail Barges? What's the next year look like? And in 2020 we're going to see a new Indiana Jones movie. Is that going to have toys? Does the license for Star Wars Toys include Indiana Jones Toys? Or could Mattel pull Jurassic Park with Indiana Jones? You'll probably see few new toys from this movie unless you start demanding them now - and I agree, they were great. I want those aliens, those costumes. I don't know if we'll get them unless Lucasfilm reuses them in other films, and they totally should. The movie tanked and people are tripping over themselves to find the hottest take as to why. I don't believe it has anything to do with The Last Jedi so much as Disney not employing its marketing machine early enough. With The Force Awakens and Rogue One, we get trailers and titles a year or more before the theatrical release - plus the toys were branded with the new movie stuff. For The Last Jedi we had a smaller window, which cannibalized Solo's window. Neither movie has a title on its licensed product offering, and from the look of things we might see that with Avengers 4 too. Branding is arguably one of the most important things in the world of marketing today, and I don't care how big you think your balls are - even Star Wars can't get away without telling people the name of the movie or showing us some footage early. Releasing The Last Jedi without a Solo teaser in tow - even just a 10-second logo-with-a-release-date - was dumb. I think Disney decided to take a loss on it, not unlike The Good Dinosaur, and move on - their loss. It was a treat for Star Wars fans, but not something truly great for the history of the cinema. The short version: The Phantom Menace took advantage of over a decade of pent-up goodwill from fans for the original trilogy - and Solo delivered on it, without the fanfare. You're going to see new stuff to go with your Sail Barge, but I would advise you to buy on Amazon or eBay now if the price of what you want is at below $15 per figure. When those barges go out next year, people are going to say "Gee, what figures am I missing?" Prices may go up - why wait? Also don't get your hopes up for between-film 3 3/4-inch awesomeness. You're going to get some good new stuff - a bit - but if you think it's going to be raining plastic men (hallelujah) you will be very disappointed. It'll be better than it has been - but only because it's impossible to release less than 0 minor original trilogy characters and we already know of two. I would be curious to see someone else tackle Indiana Jones, but I am not hopeful we will see a lot. a) Indy is an older boy movie - it was never truly a kid hit and the nostalgia market never truly existed. b) There's no mandate for a relaunch with a million cool characters. c) Much of the line is arguably not appropriate. And by that I mean you can't sell kids Nazis and you can't sell adults fake Nazis. Everybody will be angry, regardless. I've never seen any evidence of a real kid interest in Indy, despite a few tries to make it something for a younger audience. It's possible someone with fewer licenses and a big marketing budget could give us another one-year-wonder of a line, but at this point I'd say anything other than a collector-driven 6-inch action figure line would be a surefire flop. And I don't know if a 6-inch line would be a success beyond a few waves. They'd sell tens of thousands of Indy, but if the likeness is bad? The drop-off after Dr. Jones Jr. would be drastic, and to be honest this is the kind of a thing you would probably best succeed with a subscription-based format. There are no known plans for any toys at this time, but I would bet on LEGO giving you something. The Rogue One stuff got made for the Asian market - and some for the US market, just very little of it made it out here in assortments. (We sold it at work, so ya gotta trust me on that one.) The collectoratti have coined the term "last wave syndrome," and it's pretty common for final waves of many toy lines to get made in small numbers, dumped overseas, or completely tooled and then never brought to market anywhere. Unsold wave 1 can pack a wallop. For The Force Awakens a lot of it got dumped to 99 Cents Only and other discounters. For Rogue One, waves 2 and 3 got dumped to closeout stores. The Last Jedi hasn't yet, but I would wager retail impatience and Hasbro's desire to clear space for the next movie assortments - which got a weak launch as weak launches go - didn't help. Unsold product is usually the biggest contributor to poor distribution of later waves and cancelation of products you didn't even know were coming in the first place and may never ever hear about. A lot of stuff gets really far along, but not always to tooling or packaging phases. There are some items that got made but never sold here that nobody seems to know about, there were a number of items dumped in Europe in small numbers that people don't realize they never had a chance to buy, and this is increasingly common when the lines turn over so quickly. 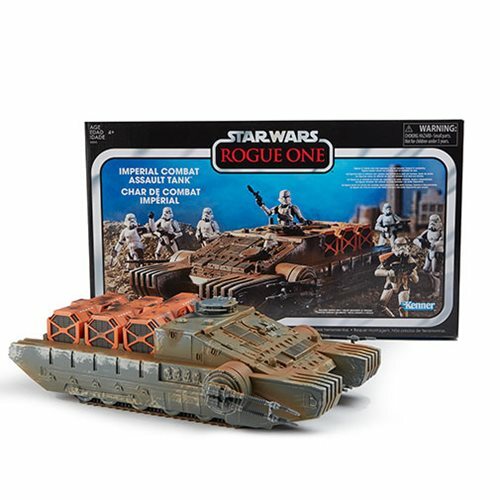 What I see is casepacks that don't always work since they're made before the final cut of the movie (and possibly with Disney/Lucasfilm "helping"), some impatience on the part of big box (or possibly whoever decides what to make at Hasbro), and collectors increasingly inclined to wait for a sale. With the increasingly movie branding-free lines, it would be easy to have one movie line just flow into the next one - they did this with The Black Series, where dubious casepacks caused an entirely different problem. But all the figures made it out. I guess you can't always win, but it's easy to be a Monday morning quarterback in situations like this. The mailbag is empty after next week! If you have questions, please send them in. If we missed your question, and it's not "Will Hasbro make X," please do send it our way. Otherwise I get to take a week off, and nobody wants that. When it comes to the ups and downs of life - also known as "grief" - I'm basically in the "acceptance" phase of Toys R Us not being a thing here in the US of A anymore. Specialized retailers are suffering a bit, but this one happened so quickly it's giving everybody whiplash. As someone who pretends to be an important toy person at my day job, I get to hear and see a lot - and it's a fascinating period of time to hear some companies talk about their plans for mergers and acquisitions, and others (Hasbro) really doing it. Since my closest store shut down a few months ago, I find that Target didn't replace it in terms of frequency - neither did Walmart. I putter around Goodwill, and if I have time on weekends, record shops. Irregular exclusives and boom-and-bust shipments out of Hasbro are a big change from the 2000s, wherein I could potentially see a new toy from any of its core brands nearly every couple of weeks - now everything hits all at once, and nothing for weeks. Or months. And what's depressing for me is that it may not make a difference to growing the audience with the money - kids, and casuals. I've got a little free time this week so I'm hoping to scope out what's left of the two remaining Toys R Us stores in my general area - but I also know I might not miss much. Many of the exclusives have been (or will be) redistributed to other stores. There are no new games to find, no surprise toys to buy. It's kind of weird to realize the hub of my toy run has gone away, mostly because other stores just don't stock all that much great weird stuff. GameStop might, but there are a lot of pre-orders. Walgreens is all over the map, but if you know something good is coming it can be a decent hunt. Target has had fewer exciting exclusives as of late, and Walmart is seemingly always finding new ways to reduce toy shelf space and reorder less frequently. I'm excited to go hunting, but I have to be able to find something neat - even if I do not personally want it. Therein lies the challenge to the as of yet unknown successor to the American toy retail empire, and I really truly do hope someone reinvents the national toy chain ideal. Until then, uh, I don't know. I've been spending more time trying to reduce my sizable stash - I've got kid office supplies since I was a child. I've got unopened Happy Meal toys back from when I ate fast food because it was generally the cheapest option. With the decline of the 3 3/4-inch line and my favorite toy store, I've got a lot less reason to go out looking and more time to stay home and actually get my affairs in order before the next movie launch. You know, like I said I would do in the summer of 2015 and didn't.